These appalling terrorist attacks that take place where the perpetrators claim they do it in the name of a religion: They don't. They do it in the name of terror, violence and extremism and their warped view of the world. They don't represent Islam, or Muslims in Britain or anywhere else in the world. Same with the Muslims who beheaded a British soldier, Drummer Rigby, on a London street in broad daylight. 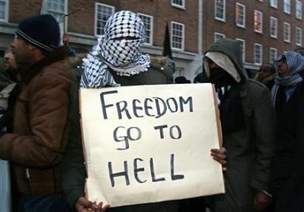 On that occasion, David Cameron assured us that the unfortunate incident was "a betrayal of Islam. . . . There is nothing in Islam that justifies this truly dreadful act." How does he know? Mr. Cameron is not (yet) a practicing Muslim. A self-described "vaguely practicing" Anglican, he becomes rather less vague and unusually forceful and emphatic when the subject turns to Islam. At the Westgate mall in Nairobi, the terrorists separated non-Muslim hostages from Muslims and permitted the latter to leave if they could recite a Muslim prayer—a test I doubt Mr. Cameron could have passed, for all his claims to authority on what is and isn't Islamic. So the perpetrators seem to think it's something to do with Islam—and, indeed, something to do with Muslims in the United Kingdom, given that the terrorists included British subjects (as well as U.S. citizens). It was a busy weekend for Nothing to Do with Islam. Among the other events that were nothing to do with Islam were the murder of over 85 Pakistani Christians at All Saints' Church in Peshawar and the beheading of Ricardo Dionio in the Philippines by BIFF, the aggressively acronymic breakaway faction (the Bangsamoro Islamic Freedom Fighters) from the more amusingly acronymic *bleep* (the Moro Islamic Liberation Front). Despite a body count higher than Kenya, the Pakistani slaughter received barely a mention in the Western media. You'd be hard put to find an Anglican church in England with a big enough congregation on a Sunday morning to kill 85 worshipers therein, but in Peshawar, a 99 percent Muslim city, the few remaining Christians are not of the "vaguely practicing" Cameron variety. Viewed from London, however, they've already lost: One day there will be no Christians in Peshawar and the city will be 100 percent Muslim. It may be "nothing to do with Islam," but it's just the way it is: We accept the confessional cleansing of Pakistan, as we do of Egypt, because it's part of "the Muslim world." Nairobi, on the other hand, is not, and a murderous assault on an upscale shopping mall patronized by Kenya's elite and wealthy secular expats gets far closer to the comfort zone wherein David Cameron "vaguely practices": In a "clash of civilizations" in which one side doesn't want to play, a shattered church has less symbolic resonance than a shattered frozen-yogurt eatery. On this side of the Atlantic, meanwhile, the Canadian branch of the Islamic Society of North America lost its charitable status after it was revealed to be funding all that jihad stuff that's nothing to do with Islam. This presented a small problem for Justin Trudeau, leader of the Liberal party, son of Pierre, and on course to be the Queen's dimmest prime minister of her six-decade reign: Where David Cameron is a silky, slippery deceiver who surely knows better, young Justin seems genuinely to believe the mush he serves up. Asked to explain his recent photo-op at the now-discredited ISNA, he replied: "Part of my job is to speak with as many Canadians as possible and talk to people about the kinds of shared values we have." I don't suppose M. Trudeau really means he "shares values" with terrorism supporters, but he does get to the heart of the problem: To put it at its mildest, there seem to be insufficient "shared values" between Western societies and a not-insignificant number of young Muslim men who are nominally and legally citizens thereof. One survivor of the Westgate mall said, "I don't understand why you would shoot a five-year-old child." But what's to understand? The child was shot because he was not Muslim. Five-year-olds died at All Saints' Church for the same reason—because, even in a town that's 99 percent Muslim, a non-Muslim kindergartner is a provocation. Crazy, huh? Yet it is not inconceivable that the man who executed the five-year-old at the Westgate mall was one of those "British subjects" or "U.S. citizens." That's to say, he's not some primitive from the fringes of the map but someone who has grown up in the same society as Justin Trudeau and decided that Justin's "shared values" are worthless. To be charitable to Mr. Cameron, he is trying to point out that very few Muslims want to stare a five-year-old in the eye and pull the trigger. But, likewise, very few of them want to do anything serious—in their mosques and madrassahs—about the culture that incubates such men. The prime minister is betting that all the clever chaps like him can keep the lid on and hold things to what, at the height of the Northern Irish "Troubles," cynical British officials privately called "an acceptable level of violence." A combined weekend corpse count of 150 is, apparently, "acceptable"—or at any rate not sufficiently unacceptable to prompt any reconsideration of a British, Canadian, and European immigration policy that makes Islam the principal source of Western population growth. But don't worry: As John McCain says of our Syrian "allies," "Allahu akbar" simply means "Thank God." Thank God for that. What time period are you asking about? Let's just pick September 2013. That score would be: Muslims - 2,005 killed, 3,079 critically injured. Same time frame for Christians: zero killed, zero injured, not counting hang-nails or cold sores. More innocents were killed by extremists in two hours on September 11th than the total number of American criminals executed in the last 65 years. 2013.10.21 Nigeria Borno 10 0 Pro-Sharia militants burn down houses and shoot dead ten villagers. 2013.10.20 Syria Hama 43 36 Over forty motorists are obliterated by a Shahid suicide truck bomber at an agricultural exchange. 2013.10.20 Iraq Baghdad 54 70 Over fifty innocents lose their lives when one suicide bomber detonates at a packed cafe and another catches others rushing to help. 2013.10.20 Egypt Warraq 4 18 Muslim radicals open fire at church, murdering the pastor, one woman and two young girls. 2013.10.18 Syria Deir Ezzor 10 0 Ten captured soldiers are executed by al-Nusra. 2013.10.18 Dagestan Khasavyurt 1 0 A policeman is shot to death by an Islamic extremist. 2013.10.18 Iraq Mashtal 3 12 Three Iraqis are taken down by Islamic terrorists. 2013.10.17 Iraq Tuz Khurmatu 4 27 Four people are torn to shreds by a Fedyeen suicide bomb blast. 2013.10.17 Iraq Baghdad 11 22 Eleven innocents are sent to Allah by Sunni bombers in a Shia suburb. 2013.10.17 Iraq Baghdad 11 54 A Shahid suicide blast is one of several bombings that leave eight dead and dozens more in agony. 2013.10.17 Tunisia Beja 2 1 Two police officers are killed by religious radicals. 2013.10.16 Pakistan Swat 3 10 Three people are killed in two attacks by Islamist militants. 2013.10.15 Iraq Mosul 2 0 'Insurgents' murder two brothers on their way to a rival mosque. 2013.10.13 Afghanistan Kunar 2 0 Two children, ages 8 and 10, are executed by the Taliban on charges of "spying". 2013.10.07 Pakistan Mardan 4 0 Two children are among a family of four brutally 'honor killed' in their own home. 2013.10.07 Thailand Narathiwat 2 0 Two civilians on a motorcycle are shot in the head by Muslim 'separatists'. 2013.10.06 Nigeria Gwoza 2 0 Islamists shout praises to Allah as they shoot a nurse to death and slit a guard's throat. 2013.10.06 Iraq Tal Afar 15 90 Fourteen children (ages 6 - 12) are disassembled along with their principal by a Shahid suicide bomber at a playground. 2013.10.05 Centrafrique Bangassou 9 0 Nine Christians protesting violence by Muslim 'rebels' are killed when their demonstration is attacked. 2013.10.04 Afghanistan Beaver Ridge WV Canaan 2 9 Taliban bombers kill two locals. 2013.10.02 Thailand Yala 4 3 Children are among the casualties of a Muslim 'separatist' bomb blast. 2013.10.01 Pakistan Rawalpindi 4 0 A Shiite doctor, his wife and two young children are brutally executed in their own home by sectarian killers. 2013.09.29 Iraq Hussainya 5 14 'Insurgent' bombers snuff out five lives at a vegetable market. 2013.09.27 Thailand Narathiwat 1 0 A civilian is killed during an ambush by Muslim 'separatists'. 2013.09.26 Thailand Yala 1 0 A rescue worker is slain by suspected Muslim 'separatists'. 2013.09.26 Pakistan Rahim Yar Khan 2 0 A young couple is shot to death for getting married without the father's permission. But they are just misunderstood, they didn't mean to blow up all of those people, it just kind of happened. But by all means, keep apologizing for them. BANDAR SERI BEGAWAN — The Sultan of Brunei introduced tough Sharia-law punishments on Tuesday including death by stoning for crimes such as adultery, hailing what he called a “historic” step toward Islamic orthodoxy for his sleepy country. The monarch himself has acknowledged concerns over Sharia in recent years as the code was being drafted. It was not immediately clear how aggressively it would be enforced. Two years ago, the Attorney-General’s office promised Brunei would apply an extremely high burden of proof for Sharia cases and judges would have wide discretion in applying it, in comments apparently aimed at easing public fears. “It seems almost incompatible with Malay culture, which is peace-loving,” said Tuah Ibrahim, 57, driver of a boat taxi in the capital Bandar Seri Begawan. Brunei already has a dual system combining civil courts based on British law — the sultanate was a British protectorate until 1984 — and Sharia-compliant courts limited to personal and family issues such as marriage and inheritance. Nearly 70 percent of Brunei’s people are Muslim ethnic Malays. About 15 percent are non-Muslim ethnic Chinese, followed by indigenous tribes and other groups. Bankrolled by South China Sea oil and gas fields, Brunei has one of Asia’s highest standards of living, including free medical care and education through the university level. The monarch’s wealth — estimated at $20 billion by Forbes magazine two years ago — and luxurious lifestyle have become legendary, with reports emerging of his vast collection of luxury vehicles and gold-bedecked palaces. The monarchy was deeply embarrassed by a sensational family feud between Hassanal and his younger brother Jefri Bolkiah over the latter’s alleged embezzlement of 15 billion dollars during his tenure as finance minister in the 1990s. Despite a suave image overseas, the sultan repeatedly warns at home of the potential impact that increasing integration with the world could have on Brunei’s moral values and has leaned towards Islamic orthodoxy of late. In the past year, the government introduced mandatory religious education for all Muslim children and ordered all businesses closed during Friday prayers. There are many good Muslims like the mayor of Calgary, and most are non-violent, however, Islam is a violent ideology like Fascism or Nazism. Ever since its inception 1400 years ago, Islam has been the fast growing religion in the world (including those of no religion), and there is no sign that won't continue to be so until Islam does dominate the world. The definition of insanity is to watch a formula repeat for 1400 years, and then expect a different result this time. 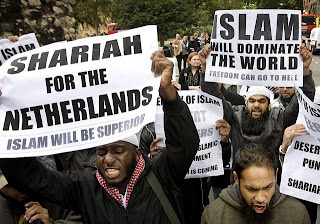 Islam continues to grow like cancer, and wherever Islam dominates, chaos rules. 2013.10.23 Mali Tessalit 3 0 Three people are killed during a suicide assault by Jihadists. 2013.10.22 Iraq Rutba 10 6 Ten Iraqis are exterminated by a Fedayeen suicide bomber. 2013.10.22 Iraq Hit 3 4 al-Qaeda members shoot a mortar into a house, killing three family members including a child. Only 32 killed, 47 injured since Sunday. So far it's a slow week! I just don't get the headlong rush by Leftists to defend this constant senseless killing. As soon as anyone criticizes them for it, there's a Leftist, apologizing for it, with the caveat that "all religion is bad" or some such nonsense, as somehow that makes the constant Muslim killing ok? baconbits wrote: And how many innocent people have been killed in US drone strikes? 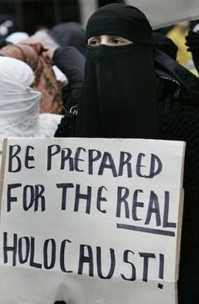 Glacier wrote: ..., Islam is a violent ideology like Fascism or Nazism. Ever since its inception 1400 years ago, Islam has been the fast growing religion in the world (including those of no religion), and there is no sign that won't continue to be so until Islam does dominate the world. The definition of insanity is to watch a formula repeat for 1400 years, and then expect a different result this time. Islam continues to grow like cancer, and wherever Islam dominates, chaos rules. Indeed. Islam is a real threat, a global threat and it is important that people see it for the menace it already presents as. Childishly calling people ridiculous names that inaccurately describe the foundation of their lack of real appreciation of the issue only serves to entrench the division in the discussion. This discussion is far too important for such a juvenile approach. Yes, that many. I've been watching the news and adding it up in my head how many Islamic attacks have been going on, the problem is that one can't possibly be glued to the news 24/7. The other problem is that it's such a global phenomena that it's difficult to wrap ones head around all the countries involved. I didn't realize there was an official list is all. Logicalview, we don't always agree but on this topic we do. We've got real problems coming, not first World problems of a trivial nature. Yep, the *blank* is about to hit the fan. Interesting part is which *blank* and which fan will be first. My apologies first, but nut jobs, religious wingnuts, all of them....Including Christians. Inflammatory yes but what I think of "followers". Taliban extremists have kidnapped more than 100 children from Afghanistan and Pakistan in the last year to use for suicide missions against government officials and U.S. troops still fighting in the region, U.S. and Pakistani sources told TheBlaze. It’s a resurgence of old tactics to indoctrinate child suicide bombers, and means suicide training in extremist schools are once again a threat to Western civilians and troops, a U.S. counterterrorism official said. The kidnappings and establishment of extremist madrassas, or religious schools, in Pakistan’s remote Federally Administered Tribal Area (FATA) signal a revival in the Taliban’s power base just as the U.S. is preparing to withdraw from the region next year. Several Pakistani sources told TheBlaze that one of the training camps is in northeastern Afghanistan’s dangerous Kunar province, while the other children are taken into Pakistan’s lawless FATA borderland. The exact number of children kidnapped or even purchased by the Taliban may vary, as Pakistani citizens and nonprofit groups working in the region cannot confirm with accuracy the exact number out of fear for their safety. Additionally, some parents refuse to report their children missing, and others who have sold their children fear retribution from local authorities, as well as from the Taliban. Bruce Riedel, a Brookings Institution scholar who spent more than 30 years as a CIA analyst and has worked with the National Security Council and Pentagon, said the Taliban has become more emboldened in recent years and continues to threaten the stability of Pakistan and the rest of the region. “The Taliban have a well-established track record of using the most vulnerable in society to carry out terrorist attacks,” said Riedel, who also headed President Barack Obama’s original Pakistan and Afghanistan strategy. In 2009, U.S. military and Pakistani officials confirmed to this reporter that Pakistan’s then-top Taliban leader, Baitullah Mehsud, was buying children ages 7 to 16 to serve as suicide bombers against American, Pakistani and Afghan targets. In a nation where the per capita income is $2,600 per year, the children could be sold for $7,000 to $14,000, Pakistani officials confirmed at the time. Mehsud was killed by a U.S. drone strike in 2009. Pakistani individuals who work closely with groups in the FATA region said abducted children are not only being taken to extremist religious schools in Pakistan but that some are sent to militant training camps in Afghanistan’s Nuristan and Kunar provinces. The training camps are comprised of Pakistani and Afghanistan Taliban members, as well as some foreign fighters, and prepare kids for suicide attacks. A U.S. military official who has conducted operations in the region confirmed to TheBlaze that extremist religious schools have been targeted by U.S. security forces in the Kunar province in the past but “most military operations avoid targeting the religious centers where we know a lot of the training is taking place.” The official could not say whether religious schools in Kunar are presently being used as training for suicide attacks. A village resident in Kunar province who became a Taliban fighter in 2009 told TheBlaze he fled the training camps this year because he disagreed with the tactics used by the religious leaders in the encampment. His own son was taken from him and sent to one of the madrassas. “I will never forget what I saw during last three years and will never forget my son when I lost him,” the resident, Muhammed, said through a Pakistani translator familiar with the region and who worked with TheBlaze for this story. More than 70 children under the age of 18 from both Pakistan and Afghanistan are still in Taliban camps in Kunar and in the difficult-to-reach eastern mountains of Nuristan, Muhammed estimated. A total of 34 suicide attacks took place in Pakistan in 2012, killing 333 people and injuring more than 500. Militant leaders keep abducted children separated, providing them food and facilities to keep them content, and allowing very limited access, he said. “I saw some children who (were) weeping and requesting … to go to their home but (they) never allowed anyone to go back,” Muhammed said.